Highest Rated WhatsApp Sinhala Sticker Market in the Playstore. Highest reviewed count with 95% of 5★ ratings. We offer whstapp sticker market around the world wide, within different Brand names. You can share these funny stickers with your family members & friends. Our Support team is always ready to help you solve any problems regarding Apps. 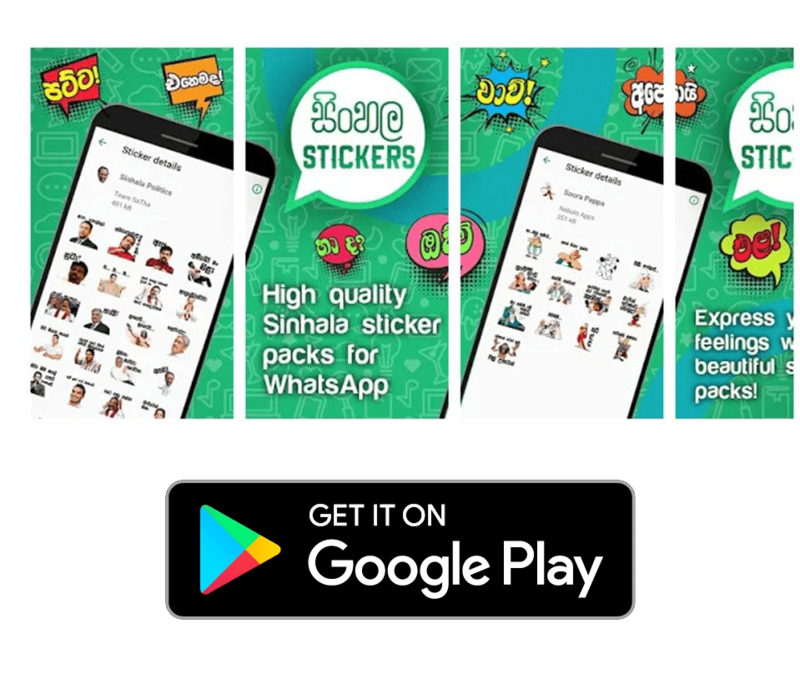 Sinhala Stickers for WhatsApp was founded in 2018/11/03 by NebuloApps Team. Now this is the Sri Lanka's Most Downloaded & Most Popular WhatsApp Sinhala Stickers App. Currently there are 5+ Developers & Stickers Designers Working With us. if you any inquiries Contact Us Now! NebuloApps is the leading Mobile Apps Development Company, providing high-quality Stickers Apps For Whatsapp. These apps let you install new amazing and interesting Sinhala & English Stickers on your WhatsApp instant messaging application.